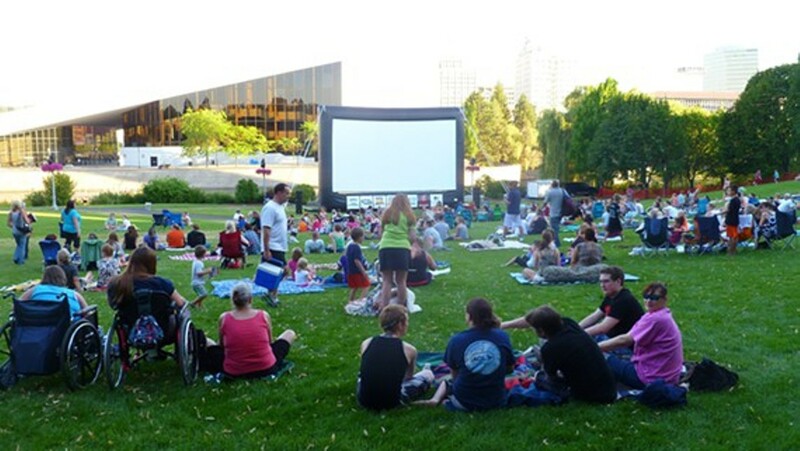 A showing on the big screen with pre-show live entertainment, movie trivia and tasty food trucks. Series runs June 10-July 15, on Wednesday nights. $5/pre-movie seating and entertainment (ages 5 and under free). Dog friendly and tobacco free.